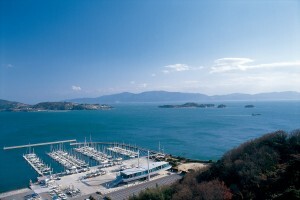 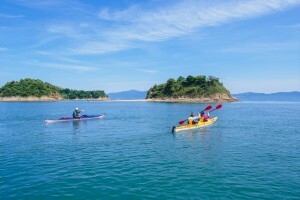 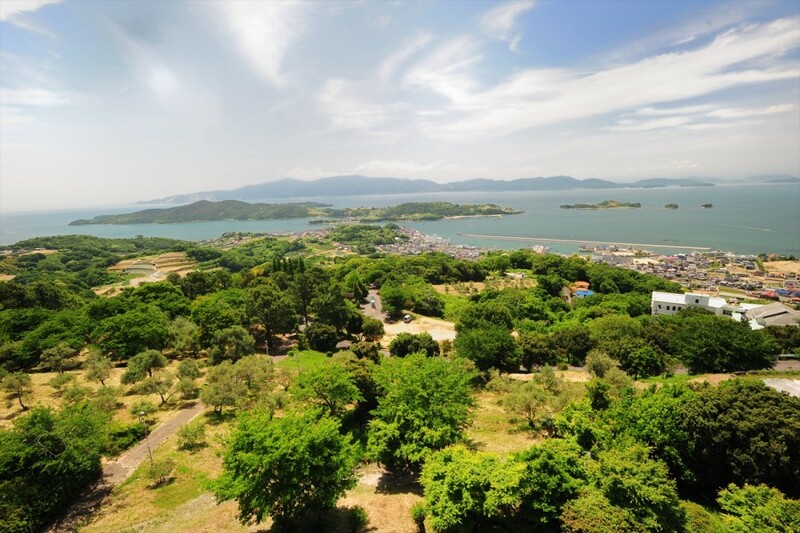 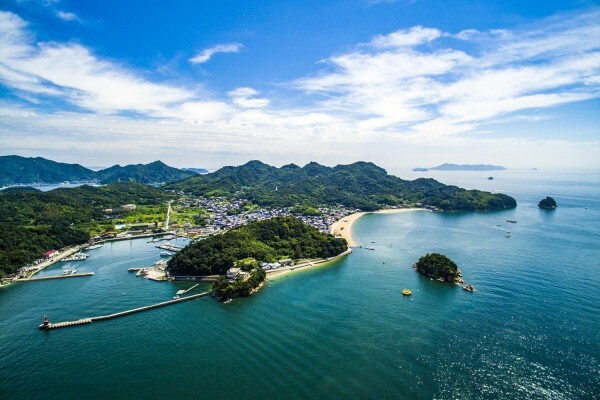 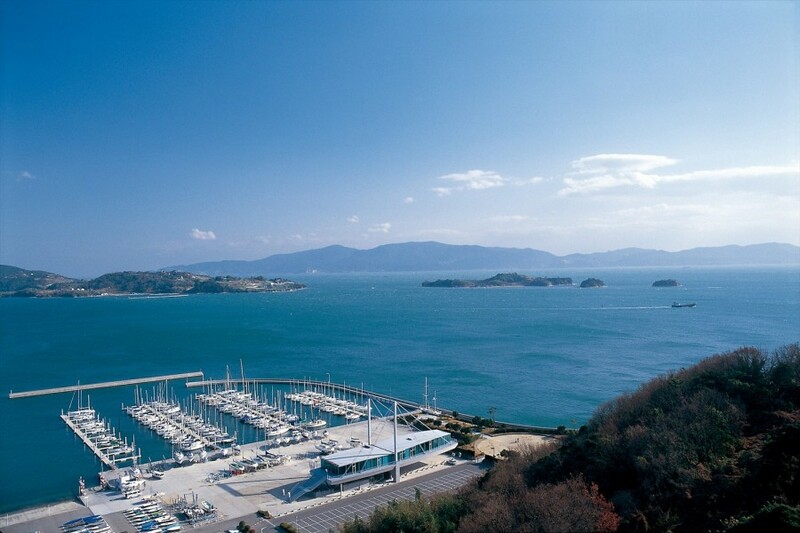 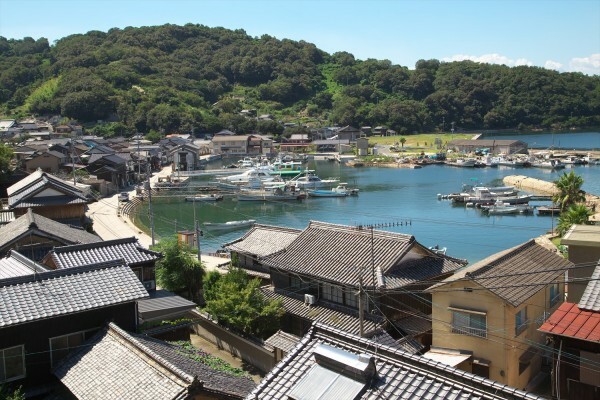 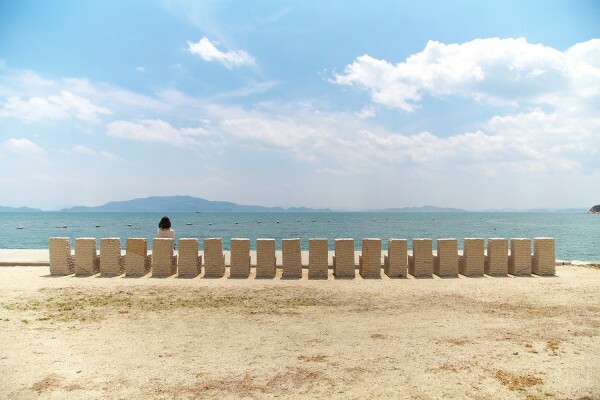 The seaside resort town of Ushimado overlooks the numerous beautiful islands dotting the Setonaikai (The Inland Sea). 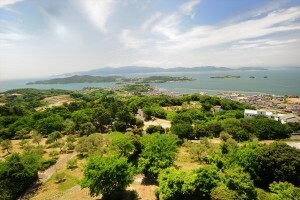 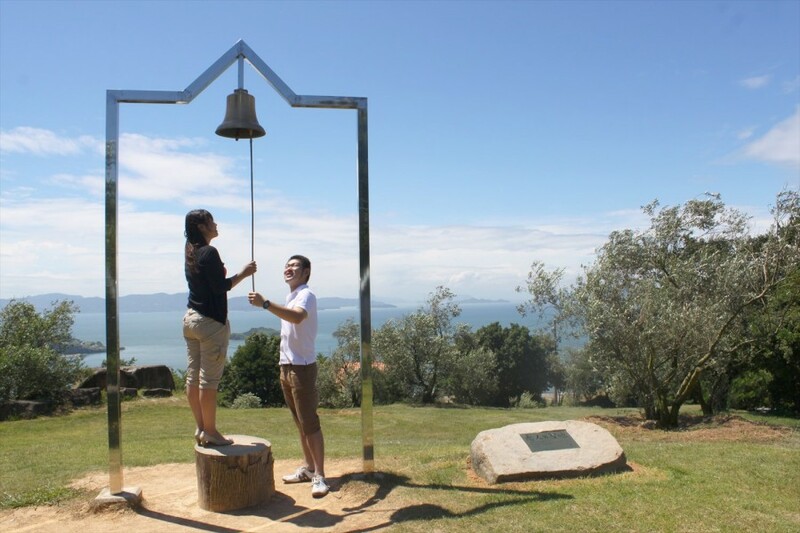 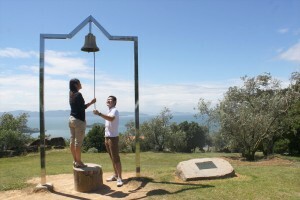 Visitors are treated to a magnificent landscape filled with the blue of the sea and the green of olive groves. 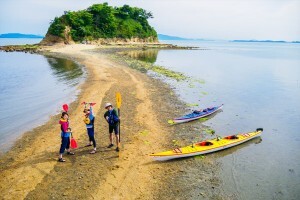 At low tide, the Kuroshima Venus Road, a sandbar stretching to link three separate islands including Kuroshima Island, rises from the sea. 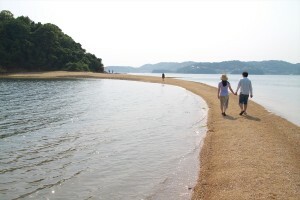 A walk along this mysterious road floating on the sea is a recommended spot for couples. 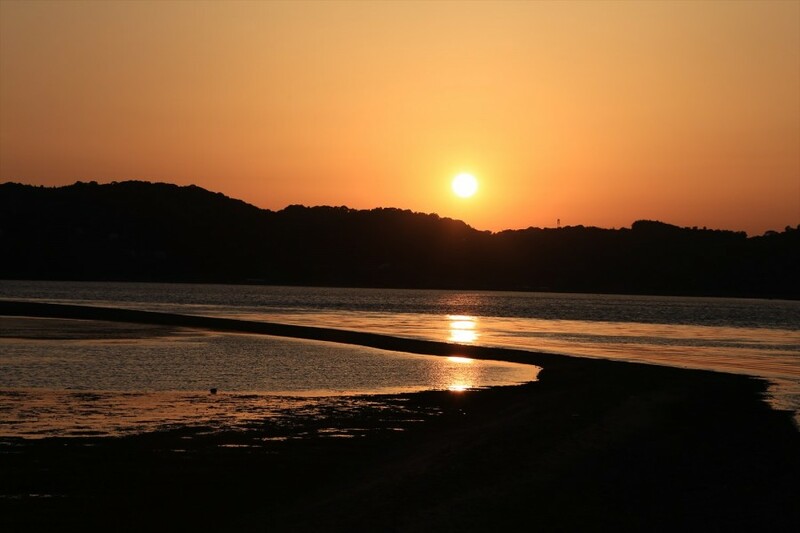 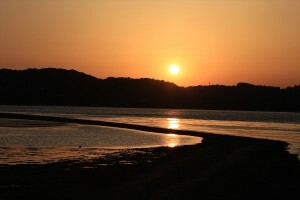 Along with the hotels and yacht harbors in the surrounding area, Ushimado also offers visitors sunset cruises where visitors can watch the sun set and enjoy a romantic evening on the town.